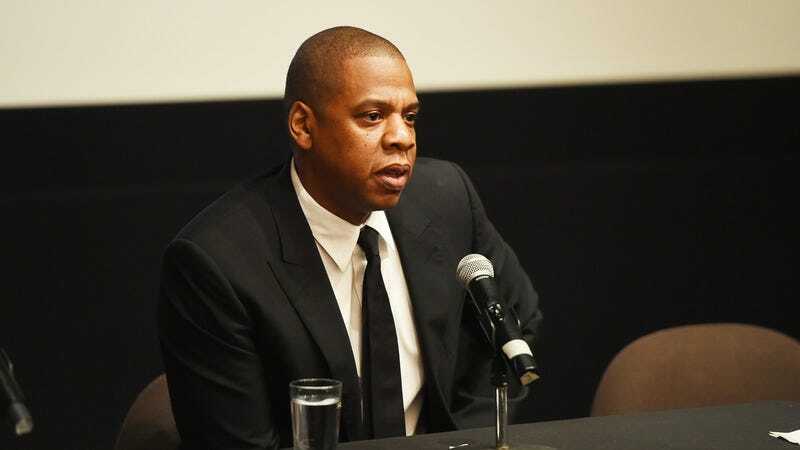 CEO of Warner/Chappell Music Publishing Jon Platt accepted the award on behalf of Jay Z, saying, per Variety, that “Jay Z accepts not just the benefits of his fame, but also the responsibilities of it. He understands what his work means to his millions of fans around the world just as much as he understands how important it is that he’s becoming the first rap artist to be inducted into the Songwriters Hall of Fame. And he also knows that so many came before him that didn’t get this opportunity and didn’t receive this honor.” And, from wherever he was, Jay Z sent out some tweets thanking “all the people that have inspired” him.